Ken Muise is a snorkel enthusiast and an expert on choosing the best snorkel gear for you and your family. His experiences with snorkeling range from the Hawaiian Islands to Miami and all the way to Thailand. Over the past 5000 years snorkeling has evolved. In the beginning, breathing was done through a hollow reed as ancient snorkelers went after valuable shells that were used as currency. Then snorkeling and the ocean became the next "great frontier" to explore. Even Leonardo Da Vinci got into the act as he designed snorkeling and underwater gear and apparatuses. With the advent of the self contained underwater breathing apparatus (SCUBA) that frontier is all but conquered. All except the deepest parts of the worlds oceans. Snorkeling as we know it today is a fun adventure. It’s something that you do with the kids or your honey on vacations at tropical locations around the world. From Vietnam to Miami and Thailand to Southern California thru the Hawaiian Islands, snorkeling is just a fun time. It provides a look into oceans that most people are not experienced with as well as a glimpse at marine life that awes the mind. Snorkeling is fun. But it’s also risky. Most people think that since snorkeling looks easy then it is. You just float around with a mask and tube and look down, right? Sure. Kind of. But you also need to be a strong swimmer with some endurance so that you don’t get pushed around by surf or exhausted to the point that you can’t get back to shore. Also, do you know what to do when your mask and snorkel fill with water? You need to know how to clear those two pieces of snorkeling gear to prevent injury or death. Coral cuts are not your typical scrapes. Coral has bacteria that can lead to an infection if you cut yourself on it. There is precise care that needs to go into treating a coral cut and that doesn’t entail just throwing a bandage on it. You need to know how to clean and treat coral cuts as well as knowing when you need to seek professional, medical care for infections or if the cut is too large or deep for you to treat yourself. Every time you touch, stand or sit on coral you’re killing it. When coral dies then the most important part of the marine habitat and snorkeling environment dies. Coral provides places for fish to hide, lay eggs and reside as well as a food source. That’s the risk to snorkeling to the environment. There is also the risk of snorkeling too close to fish and creatures that don’t like you or feel threatened. If you stick your hand into the wrong hole then you may find a startled moray eel who takes a finger off. Then there are jelly fishes that sting, sea urchins that poke, and sharks that will take a bite out of you. 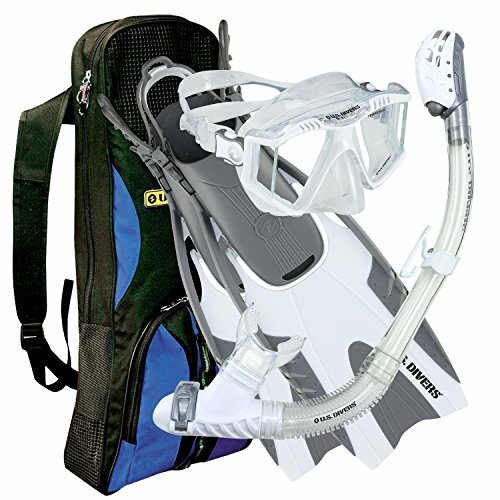 This is my preferred snorkeling set for adult beginners. It's versatile and a strong performer. The mask skirt fits well and the dry snorkel keeps water out of the tube. In most situations snorkeling is a fun and relaxing time for all involved. It’s also a great opportunity for some great photos and video. Snorkeling can be risky, though. Keep these main snorkeling risks in mind when on the water and you’ll be sure to have fun and safe snorkeling adventure. Thank you for this informative article. I enjoyed reading it.